The Summit expandable conference tables offer the flexibility you need to optimize the design of your conference room facilities. 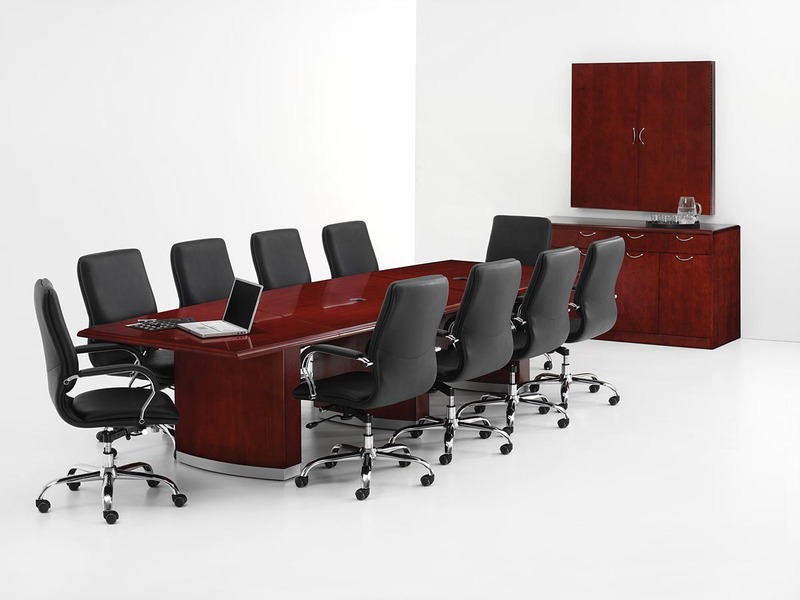 The 48" and 60" modular sections allow you to expand a conference table from 8' to 22'. 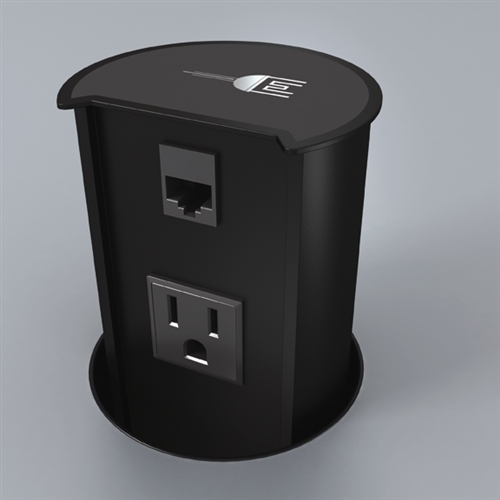 The optional power / data modules allow you to connect these tables to electrical, video, and data networks within your building. Constructed of veneer, wood solids, and wood product. Tops feature a durable UV finish resistant to stains, mars, and scratches. Each top section has a 3"-round pre-installed wire management grommet. Included mending plates ensure proper top alignment and secure assembly. Each base has six adjustable levelers that also assist in correct alignment and assembly. Designed with rails to provide stability, add style, and help with concealing the functional wire management troughs. 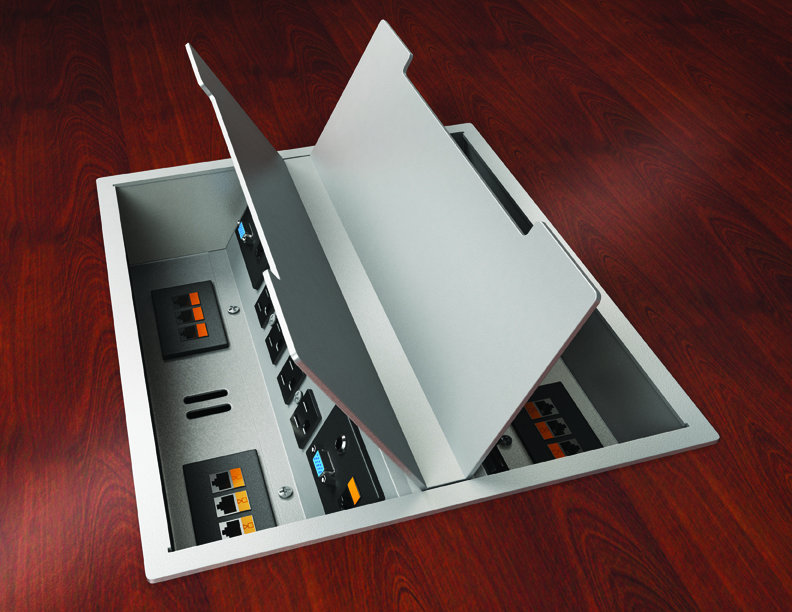 Wire management troughs or trays provide aesthetically pleasing means to safely manage cables. Base components are designed with a cable opening at the top and vertical channel within the base to guide cables out through bottom of the base. The cable opening within the top components is positioned and sized to facilitate the installation of optional data ports/power centers. 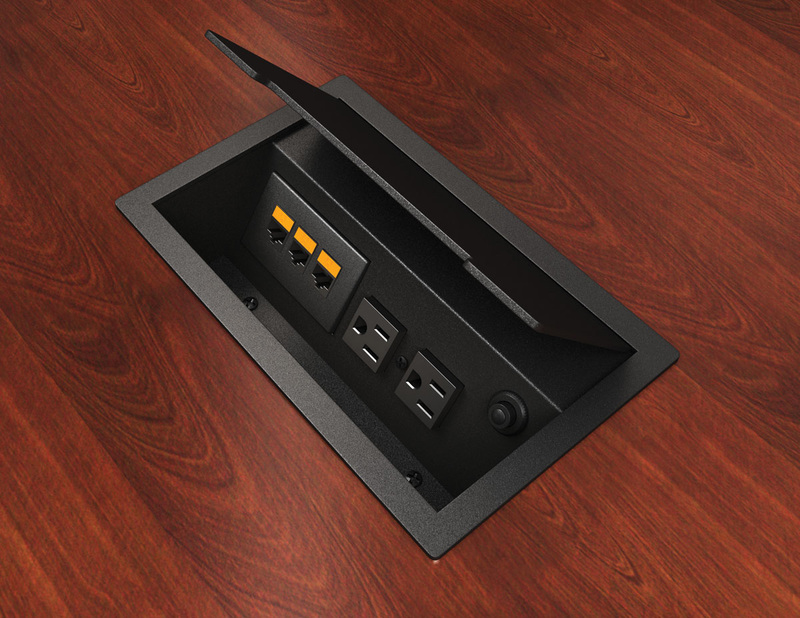 The DMI Expandable Conference Tables have built in wire management channels under the table with 3" Round cable grommets on each surface section. 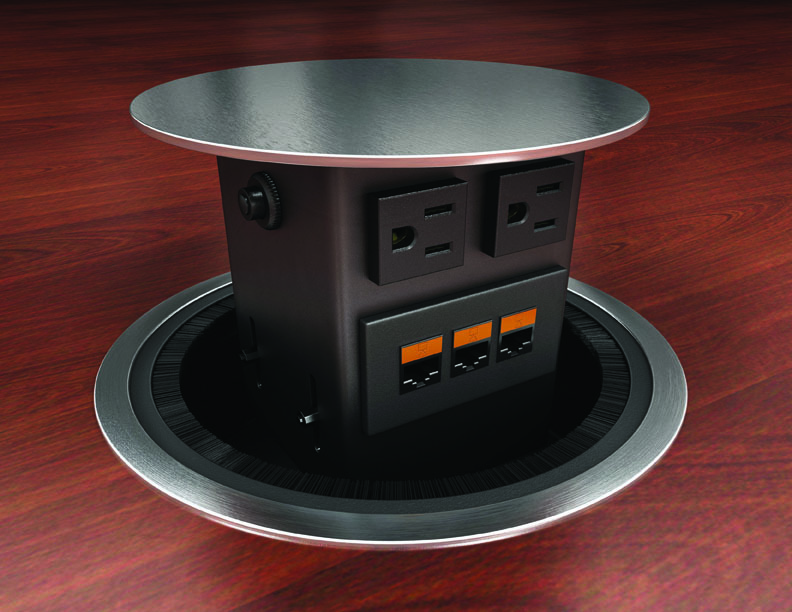 This system helps you easily direct electric power cords and data cables from their source to devices on the table top. Several optional ACT Power / Data Modules are available to help you equip your conference room with the advanced data, video, and audio technologies. The openings for these power / data centers can be pre-cut at the factory, saving you the need to have then cut in the table surface at your location. 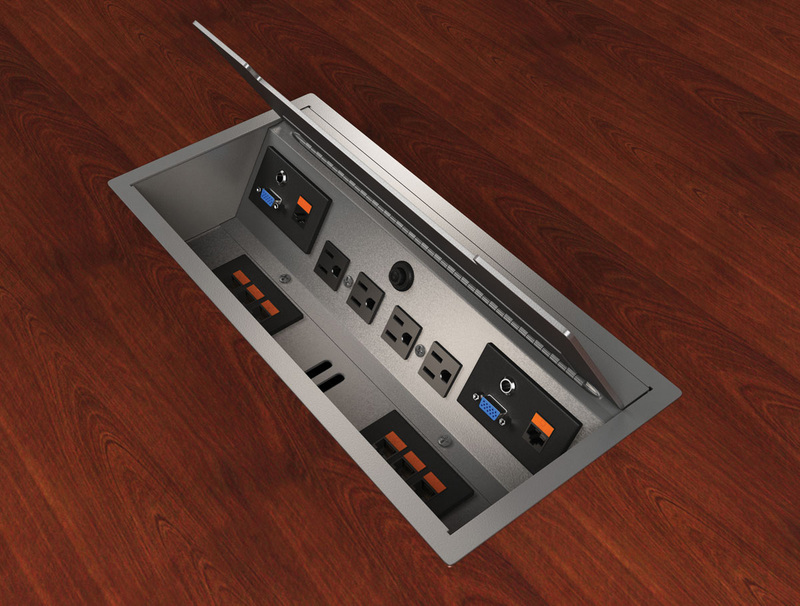 Wire management capabilities include a wire channel under table surface with a 3"-round grommet in each surface section. We can arrange for the factory to pre-cut a hole in the table surface to fit a wide range of advance power / data modules. Each custom factory cut in a table surface section requires an FACTORY CUT UP CHARGE. Once the table is cut at the factory no refunds will be available for the cost of the table and up charge. Click the images below to view the details of each of our modules. You can customize each of the open advanced technology plates with HDMI, VGA, DVI, XLR, Stereo Audio, Phone, Data, and USB connectivity.